Colleges and Universities across the country institute and maintain community engagement programs. Creating community partnerships, coordinating events, and collecting hours are large tasks to conduct and touch students, clubs, and departments across a campus. Alma College facilitates community engagement programs and provides Alternative Spring break trips in addition to a number of local events each year. With the help of tools such as Helper Helper, their workflow has been completely digitized in comparison to how other colleges and universities primarily utilize Excel and Google sheets. Thanks to their mobile process, Alma College can offer opportunities to all students on campus with ease and clarity. With the increased level of engagement, the community – college relationship improves, the students’ academic learning is positively impacted, and inter-cultural understanding improves. All these elements make Alma College a place their students love. 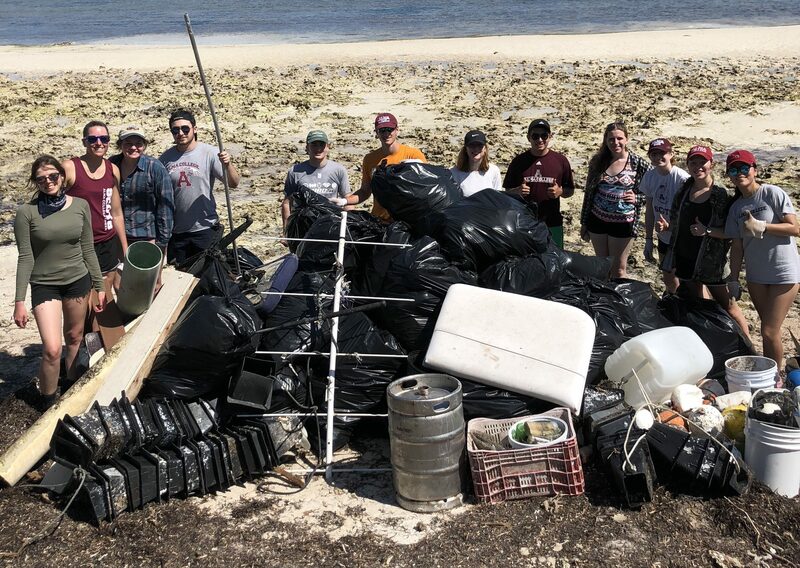 Alma students donate their time and effort as a means to continue habits that were created in their home environment and also to engage in group experiences, such as Greek Life or Alternative Spring Break. The athletics department often uses volunteer opportunities as a means to foster team bonding and to encourage being a better citizen. Previously, Alma College, as a whole, had no official method of coordinating and tracking students’ community engagement data. Alpha Phi Omega (a service fraternity) began using Helper Helper to track their hours, as their previous system was too costly. The athletic department was painstakingly entering volunteer data into Excel spreadsheets to track and analyze student athlete volunteer participation. The process was time consuming and tedious for Associate Athletic Director and Senior Woman Administrator, Sarah Dehring. Prior to using Helper Helper, Dehring was emailing coaches and Student Athletic Advisory Committee (SAAC) members with opportunities. Coaches and SAAC representatives would provide Dehring with participant names and hours. This information could also be provided by the students themselves, but would require Dehring to validate the hours by reaching out to the event supervisor or coordinator. Dehring maintained Excel spreadsheets to manage the data, keeping separate tabs for each team. According to Dehring “the process of tracking the hours took an incredible amount of time and in addition, hours could be easily lost when they were not reported in a timely manner by coaches or SAAC reps”. What led Alma College to centralize their platform for community engagement was the opportunity to have everything in one easily accessed place. Many students are involved in more than one organization and Helper Helper allows for streamlined communication without redundancy. In addition to avoiding redundancy, Dehring also finds the value in being able to show opportunities to an exclusive group for team specific events. The biggest challenge Alma has faced since implementing Helper Helper has been to increase student use. The numbers show Helper Helper has made a positive impact, increasing campus volunteer hours to 5,400 for the 2017/1018 school year, allowing the college to earn first place in the NCAA Team Works Helper Helper Challenge. Dehring noted increased student participation in volunteer activities, however, only one third of the students downloaded the app and only one quarter participated in community engagement. Dehring attributes this to launching Helper Helper during the winter semester. She is hopeful that students will have exposure at the start of fall semester. Now that staff has had an opportunity to familiarize themselves with the process, they will likely better encourage students to utilize it. In addition to providing ease of use, Dehring was excited to witness the program foster competition. Student admins have access to certain features, allowing them to see where all the teams rank, which drove competitiveness and encouraged greater participation. Dehring believes that inter-department/inter-team challenges will continue to grow and increase participation. Dehring anticipates that the features the college will utilize the most will be posting opportunities and data collection, stating “It has been very helpful not having to email multiple people with opportunities, repeatedly”. Data collection has also been simplified as it is all easily found in the application. Dehring was pleased to see that within the data collection, it was easy to determine greatest areas of need, unmet needs, and which opportunities were most sought after. This has allowed her to better recruit student athletes for events that are lacking participants. Alma College’s use of a volunteer management tracking system serves as an example of being able to successfully collect volunteer data without having prior app experience due to its user friendly interface. Helper Helper has allowed administrators to keep community engagement at the forefront of the their students’ academic and athletic experiences while removing the burden of excessive time spent tracking in Excel sheets. The program has been a benefit to the college, the administrators, and the students themselves.